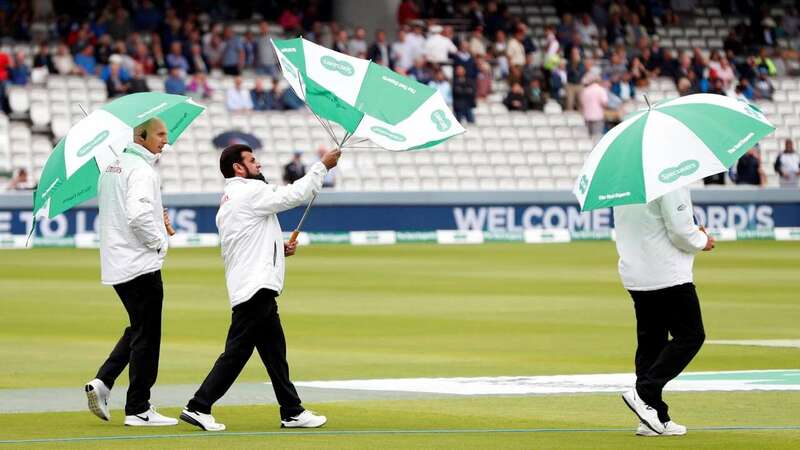 Aug 9 (AZINS) After all the build-up and anticipation, the steady rains forced the umpires to call off the opening day of the Lord's Test even before the toss took place on Thursday. Frustrating the two teams, incessant rain washed out the morning and post-lunch sessions on day one of the second cricket Test between India and England at Lord's here today.The players did not even step out for warm-ups due to the rain, lashing the city of London since last night. Drainage facilities at the Lord's are excellent and play can begin as soon as the conditions improve. As the scheduled tea break came over, there was some weather clearance in the distance and the rain did slow down. The umpires came out and had a chat with the ground staff as well, who were regularly cleaning off water from the covers. At the time of writing, there was no official word on the play though. There is more rain forecast for this weekend as also on Monday, and as such, this match could see routine rain breaks. That thought might well have changed now, given the weather conditions and forecast ahead.